Although the Iraq war began on March 19, 2003, the debate over its advisability and rationale started well before that date. Supporters of the war were led by President George W. Bush and others within his administration who argued that in light of the terror attacks on U.S. soil on September 11, 2001, Saddam's presumed possession of weapons of mass destruction and perceived connections to al-Qaeda were too great a danger to the homeland to be ignored. As the United Nations' sanctions regime was seen to be flimsy, if not crumbling, the fear that Baghdad would ally itself with terrorists took on increasing urgency. As NGO Monitor has repeatedly stated, legislative proposals that go beyond democratic transparency and accountability for these NGOs are ill advised, not enforceable, and damage Israel’s vital national interests. At the same time, the concerns about European government-funded political warfare must be taken seriously. The Palestinians govern themselves. To anticipate the inevitable comparison, this is not an Israeli-puppet “Bantustan.” From their educational curriculum to their television content to their terrorist pensions, they implement their own policies by their own lights without any subservience to Israel. They pass their own legislation, such as the measure prohibiting real estate transactions with Jews on pain of death. If Israel truly “ruled over” the Palestinians, all these features of their lives would be quite different. Indeed, the Bantustans never won international recognition because they were puppets. “The State of Palestine” just got a nod from the General Assembly because it is not. Whether the Palestinian self-government amounts to sovereignty is irrelevant and distinct from the question of whether Israel is denying them democracy. Indeed, Israel’s democratic credentials are far stronger than America’s, or Britain’s–the mother of Parliaments. Puerto Rico and other U.S. controlled “territories” do not participate in national elections (and this despite Puerto Rico’s vote last year to end its anomalous status). Nor do British possessions like Gibraltar and the Falklands. These areas have considerable self-rule, but all less than the Palestinians, in that their internal legislation can ultimately be cancelled by Washington or London. The Palestinians are the ultimate masters of their political future–it is they who choose Fatah or Hamas. While vows are always made to fight anti-Semitism, its existence is not even admitted where it is found in its most frequent and obvious forms: among media and university "intellectuals;" among certain NGOs; in international institutions, such as the United Nations and its offshoots; within the European Union; in "liberal' organizations ostensibly promoting human rights -- and as a way of life, as well as a way to reinforce identity, in the Muslim world. Anti-Zionism today, from Malmö to Qom, arises and multiplies entirely from prejudice. Most of Israel's most vicious critics have never even set foot in the state. Such falsehoods have not only had some success; they have become mainstream. There is no protest against them from political parties, with few exceptions, or most cultural groups. The problem of the Jews today, the world over, is not anti-Semitism but a new branch of it: "Israelophobia." The most productive fight for world Jewry and its allies at the moment would be not against anti-Semitism, even though Israelophobia is a part of it, but against Israelopbia itself. The observances that took place in Europe to commemorate Kristallnacht, which took place on November 9, 1938, were abundant: no Jew could be unhappy about the surrounding sympathy, the public proclamation of the need to remember, the absolute rejection of any anti-Semitism, and even more, the rejection of any genocidal fervor against the Jews. German Chancellor Angela Merkel, one of many resolute speakers, said that the Germans must show their "strength of character, and promise that anti-Semitism will not be tolerated in any form." It was a point of view echoed by all European leaders, and it was nice to hear. Once again, members of the government coalition have introduced legislation to tax and curtail foreign government funding for non-governmental organizations (NGOs), aiming at groups involved in boycott, divestment and sanctions (BDS), anti-Israel lawfare, racist activities and the undermining of Israel as a Jewish and democratic state. Clearly and justifiably, after the widely critical headlines and a pro-forma vote, this legislation is going to be buried following the opposition of the minister of justice, and the concerns voiced by the attorney general. But this shouldn't be the end of the matter. Now is the time to ask whether the prime minister and senior cabinet members, including the defense and foreign ministers, are really serious about initiating a confrontation on foreign (mainly European) government-funded campaigns against Israel led by political NGOs. And instead of problematic draft legislation, which is immediately exploited to promote campaigns that demonize Israel as anti-democratic and anti-human rights, the government should produce a coherent and potentially effective long-term strategy to defend Israel's sovereignty. PM, finance minister unable to agree on c'tee chairman; Edelstein to head Foreign Affairs and Defense Committee. Prime Minister Binyamin Netanyahu is facing a crisis inside his coalition due to disputes with Yesh Atid over controversial legislation and the chairmanship of the Knesset Foreign Affairs and Defense Committee. Because Netanyahu and Yesh Atid leader Yair Lapid could not agree on a candidate to head the influential committee, Knesset Speaker Yuli Edelstein will appoint himself to the post on Wednesday. Lapid wanted his confidant, Yesh Atid faction chairman Ofer Shelah, to receive the post, but Netanyahu vetoed Shelah. In response, Yesh Atid decided to violate agreements with the Likud and Bayit Yehudi and bring a controversial bill on benefits for gay male parents to a vote on Wednesday. “The coalition crisis is real,” a Likud source said. I believe in land for peace. That is a tautology: In territorial disputes the two main variables always are land and peace. But that implies more land for more peace and less land for less peace. The Palestinian Arabs had an opportunity to accept an Israeli state on just 5,500 square miles of land in 1947, and refused to do so. The armistice lines of 1948 left Israel with 8,550 square miles, and the Arab side refused to accept that. In 1967 Israel took an additional 5,628 square miles of land in dispute under international law; Jordan does not claim it, and no legal Arab authority exists to claim it. It is not "illegally occupied." It has never been adjudicated by a competent authority. A Saudi prince sent a harsh message to President Obama and his administration, saying White House waffling and indecision has compromised the ability of the United States to nail down a peace pact between Israel and the Palestinians. Specifically, the prince blasted Mr. Obama for reneging on promises — a habit that’s been shown by recent polls about Obamacare to plague the president with constituents in the United States, too. As far as international relations go, the prince said Mr. Obama needs to step up his game and do what he vows. With allies, “you should be able to give them the assurance that what you say is going to be what you do,” the prince said, The Times reported. "Don't they know that the Koran orders us to slit the throat of whoever is disrespectful to Allah's beloved prophet?" — Representative of Jamaat ud Dawa. Although Christians are habitually killed in Muslim countries, as this series attests, the U.S. government rarely condemns the practice or even acknowledges it. The American Studies Association (ASA) is suddenly grabbing headlines for voting to support an academic boycott of Israel. Why a boycott? Because ASA wants to be known as a paragon of human rights and views Israel as a gross violator of same. ASA believes the worst about Israel's treatment of Palestinians - whether it's actually so or not. But aren't there somewhere on this planet other countries that are far more egregious human-rights violators, including some in close vicinity of Israel? Well, that may be so, concedes Curtis Marez, ASA's president and associate professor of ethnic studies at the University of California, San Diego, "but one has to start somewhere." So why start by flogging Israel? Marez explains that the reason ASA decided to blacken only Israel is that Palestinian groups asked that it join the anti-Israel boycott, but no such request came from any other country. This is what parades as logic and fairness in academe today. Maj. Jason Brezler's warnings about an Afghan police chief and his ‘tea boys' went unaddressed, and three Marines were slain. One year later, the Marines are taking action-against him. More than a year after three Marines were shot to death on their base in an insider attack by an Afghan police chief's "tea boy," there is still no official explanation for why a warning that could well have prevented the tragedy seems to have gone unheeded. The century’s largest winter storm in Israel is over, but roads are still icy. The roads to Jerusalem are closed at night and even sometimes during the day. You can imagine what fearsome traffic jams materialize. pulled over on the side of the road. Cohen could see someone was in trouble. What is going on? Why can’t Kerry leave Prime Minister Binyamin Netanyahu and the rest of the country alone, even for a week, in the middle of a blizzard of biblical proportions? According to leaks from the now five month old negotiations, after 20 rounds of talks, the Palestinians have not budged from the positions they have held to for the past 50 years. Harvard University students were gearing up for exams when students received a university alert that a bomb threat had been received. Students were instructed to immediately evacuate four university buildings: Emerson Hall, Thayer Hall and Sever Hall, as well as the Science Center. Harvard University Police Department received an email tip that bombs had been placed in those four buildings. The Harvard Police contacted the Cambridge Police Department and state and local explosives experts were called in. Exams were cancelled, police and bomb squads arrived on campus, exams in those buildings were cancelled and the famous Harvard Yard was closed down. This article examines the rise of the al-Qa’ida-aligned group known as the Islamic State of Iraq and al-Sham (ISIS) since its announcement in April 2013 until September 2013. It focuses in particular on its military operations and its relations with other rebel groups. The article concludes by examining what the future holds for ISIS on the whole. The group under consideration in this paper–like al-Qa’ida central under Usama bin Ladin and subsequently Ayman al-Zawahiri, the Tehrik-e-Taliban of Waziristan, and others–is part of what one might term the “global jihad” movement. This movement is not a coherent whole organized by a strict central hierarchy, but rather one defined by a shared ideology. This ideology aims firstly to reestablish a system of governance known as the Caliphate–an Islamic form of government that first came into being after Muhammad’s death under Abu Bakr and saw its last manifestation in the Ottoman Empire–across the entire Muslim world. From there, the intention is to spread the Caliphate across the entire world. This worldview is one of many answers formulated to answer a question posed in the wider Muslim world: Namely, what has been the cause of decline of the Muslim world–and the Arab world in particular–in contrast to the apparent success of the West since the nineteenth century? Groundbreaking technologies are advancing the IDF’s capabilities and eliminating threats. With these advanced tools in the hands of its soldiers, the IDF protects the people of Israel. In a major speech last October, IDF Chief of the General Staff Lieutenant General Benny Gantz described the wide-ranging threats facing Israel in the near future. According to the Chief of Staff, the IDF could be forced to contend with anything from missile strikes on military sites to large-scale battles and cyber attacks that would paralyze Israel’s infrastructure. Innovators throughout the IDF have heeded the Chief of Staff’s message, developing technologies that keep civilians safe and allow Israel to strike accurately far from its borders. In every sector, cutting-edge technologies are advancing Israel’s capabilities and eliminating threats, keeping the IDF steps ahead of its enemies. The Executive Committee of the University of Haifa has refused to award an honorary doctorate to Professor Israel (Robert) Aumann due to his pro-Israel politics, Ha'aretz reported Sunday. 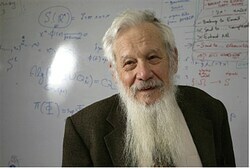 Professor Aumann won the Nobel Memorial Prize for Economics in 2005 for his work on conflict and cooperation through game theory analysis. However, despite his intellectual prowess - he is a noted professor from the Center of Rationality at Israel's top-level Hebrew University of Jerusalem, he is a visiting professor at Stony Brook University, and is one of the founders of the Center for Game Theory and Economics there - the University has decided to reject the Professor for political reasons. Dr. Ehud Eilam compares and examines present-day Iran to past ambitions in the Middle East "A breach in what was the Iraqi wall would be a cause for concern among the Arab world, particularly if Iran were to have a nuclear arsenal." In the 1980s, Saddam Hussein’s ambitions to make Iraq a dominant power in the Middle East made him not much different than present-day Iran. Iraq was an Arab country, but it still presented a threat to its Arab neighbors, particularly those in the Gulf. However, in 1980 Saddam did not send his military south against other Arab states, as he did a decade later in 1990, but east, against their common rival, Iran; yet, that was not necessarily what the other Arab states wanted. They could have suspected that an Iraqi victory over Iran would be exploited to establish Iraq’s position in the Middle East at the expense of other Arab states, including those that supported Iraq in the war against Iran.